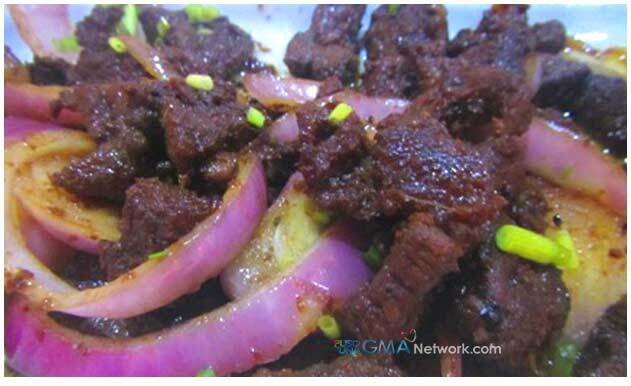 Another scrumptious recipe from our favourite GMAnetwork channel television. The recipe below is apparently for Jose Rizal. Probably not really for him as he has been dead for more than a century. He was executed by the orders of Spaniards at Bagumbayan (always be known to be as Luneta or Luneta Park, which is now known as Rizal Park) more than a century ago for alledged inciting Filipinos to take up arms against the Spaniard, who had colonised the Philippines for 333 years. Filipinos honour Rizal for his many accomplishments, his intelligence, his novels, his arts, his knowledge, his medical background and most especially for inspiring common Filipinos who had been downtrodden and enslaved by the Spaniards. 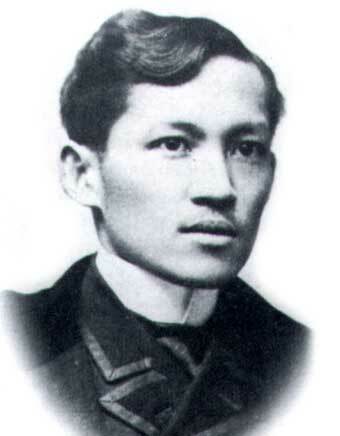 Rizal has a an exhaustive written materials that includes his two novels, Noli Me Tangere (Touch Me Not) and El Filibusterismo (The Filibuster) which so inspired the likes of Andres Bonifacio (Jury is still out, whether he should really be the National Hero and not Rizal) that he founded KKK (Kataastaasan, Kagalanggalangan Katipunan ng Mga Anak ng Bayan – my rough tanslation being: Highest, Most Honoured Organisation of the Children of the Nation, LOL). Marinate the beef in calamansi juice, soy sauce, Japanese soy sauce, salt and pepper for 30 minutes. Heat oil, sear the beef on both sides. Simmer the marinade and the beef until tender. On another pan, deep fry the potatoes until crisp. Fry onions for a minute. Place the cooked beef on a plate and arrange potatoes on top together with the onion rings. Today is World Poetry Day. A poem that came to mind immediately was the most iconic Filipino verse written by the national hero himself, Jose Rizal on the eve of his execution. I have a love and hate relationship with this poem, however. I love it because it is so beautifully written and yet I hate it too because I had to memorise it to pass a Spanish course in college. Warmth of thy breath, a whiff of thy tenderness. And pray too that thou may seest thine own redemption. It is I, dear Country, who, a song t’thee intone. Where faith does not kill and where God alone doth reign. Yes, it is that time of year again. It’s Movember. Movember is when Men and also some women raise awareness to cancer, particularly to testicular and prostate cancer, by abstaining from shaving. This is a charity-based organisation which originated in Melbourne, Australia in 2004 with 30 men to start with. To date, Movember is global and has managed to accumulate more than $299Million in funds. Movember has few rules to observe to join in. You must register first at Movember.Com. Once registered, you must start the first of November fully and utterly clean-shaven. For the entire month of November, each “Mo Bro” must grow and groom a moustache. Yes, Movember is not just about growing facial hair. It is about control, and grooming as well. No hair jungle here. The last rule and the most important one in No Shave November is, each man must conduct himself like a true gentleman. I must admit I have never heard of Claire Phillips before my good friend, Fred Natividad, mentioned her in an e-mail. Having now found out more a bit about her, I am actually surprised that Filipinos have not celebrated her more, afterall she did a great deal of spying for the Americans and Filipinos alike during WWII. Claire Phillips also known as the American Mata Hari had so many aliases. She was also known as Dorothy Clara Fuentes, Claire Fuentes, and Madame Tsubaki. Her code name was “High Pockets”, this was because of her ways of hiding secret messages inside her brassieres. A movie was made based on her life. It was called I Was an American Spy starring Ann Dvorak as Claire. Claire wrote a book about her experience as a spy. The book is called Manila Espionage. I looked it up in Amazon/Uk and it retailed at the princely sum of £265.98, quite a lot of money. Back in WWI, on October 15, 1917, the French government executed a femme fatale, Margueretha Gertruida Zelle for espionage. Ms. Zelle is better known as Mata Hari. This brings to mind a near equivalent of a Mata Hari in the Philippines years later during WWII in the Pacific, in the Philippines in particular. An American woman from Oregon married a Filipino sailor, Manuel Fuentes. They divorced before WWII broke out. The couple had a daughter, Dian. There is controversy as to whether Dian is Claire’s biological child or was just adopted by Claire. After the divorce Claire moved to the Philippines where WWII caught up with her. She met and married John Phillips, a soldier also caught in the war in the Philippines who was then interned in Cabanatuan where he died. John Phillip’s internment turned Claire into a Mata Hari. During the Japanese occupation of the Philippines she obtained forged identities as a Philippine-born Italian. She then opened a nightclub that catered to Japanese soldiers where she engaged in espionage for the Allies. Now, two siblings, Wendy Johnson and Gerald Selnes, who grew apart as adoptees, claim that their biological mother, Dian was really a natural daughter of Claire and Manuel Fuentes, making them grandchildren of Claire Phillips, the former Claire Fuentes. If the siblings’ claims are true that would make them remote FilAms as biological grandchildren of Claire and Manuel Fuentes.